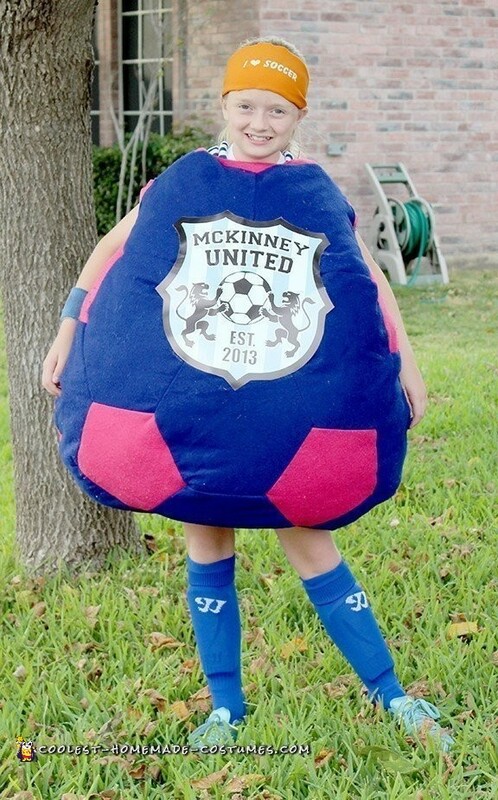 Our daughter is a serious soccer player so we made her into a big soccer ball with the club logo on front and number on back. The ball is made of soccer panels hand sewed together. I made a separate liner with stuffing inside to allow it to fit over and around her. We completed it by having her in her uniform from head to toe.